LOCATION - 10 minute drive to Uptown Charlotte and close proximity to restaurants, shops, grocery, etc! HARD TO FIND Studio Apt above 2-Car Gar - perfect for home office, Airbnb or rental income! 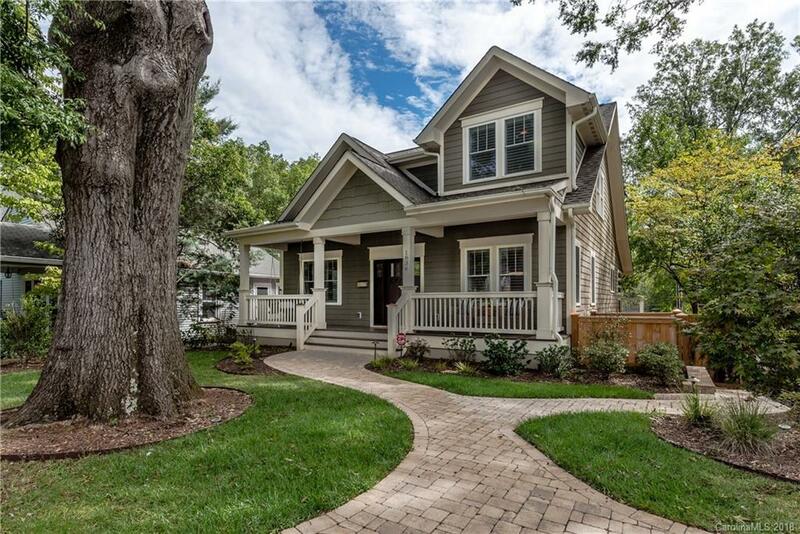 This 2-Sty w/Bsmt custom home is a 'craftsman style with a modern twist'. Wood flrs on 1st & 2nd levels (no carpet!). Kitchen w/white cab's, SS appls and large island - open to the Great Room and cov'd rear porch. NEW PLANTATION SHUTTERS THRUOUT, GR FIREPLACE SURROUND w/HIDDEN SCREEN & PROJECTOR, ALL CLOSETS CUSTOMIZED, FRAMELESS SHOWER DOOR IN MBA, MEDIA ROOM w/PLATFORM, CONCRETE DRIVEWAYS FRONT & REAR, PAVER SIDEWALK, STAIRCASE ADDED FROM COV'D PORCH FOR DIRECT ACCESS TO BACK YARD, SUNKEN FIRE PIT w/PAVER SEATING, FENCE, EXTENDED SIDING FOR PRIVACY ON DECK, GAS LINE ADDED FOR GRILL & FIRE PIT, LANDSCAPING & LIGHTING, SOME MODIFICATIONS TO IRRIGATION, REAR PORCHES STAINED. Add'l features include home audio system & security, stained concrete flooring in Bsmt. Great layout for entertaining!